There are a few important things to keep in mind when returning or exchanging a product you purchased. You must return the flowers in good conditions within 12 hours of receipt of your bouquet or arrangements. Please note that we do not deliver to Marina Bay Sand Hotel & shopping, Tuas, Jurong Island. There is an additional surcharge of $10 for Army Camps, Sentosa, Changi Cargo Complex, Alps Avenue, PSA Ports and All Universities and Polytechnics. You will be contacted to make payments before the orders is executed. 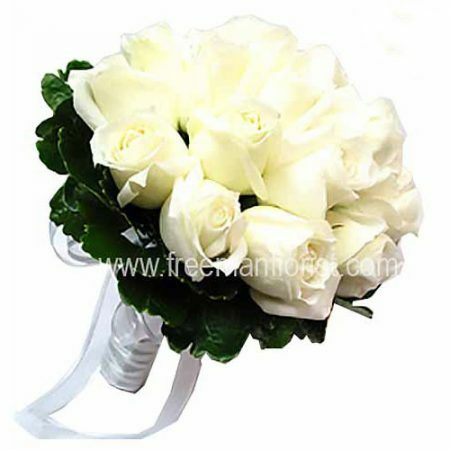 Freeman Florist shall deliver the products purchased to the place of delivery designated by customer and agreed to by Freeman Florist as evidenced in customer’s invoice or e-mail confirmation by Freeman Florist. Freeman Florist will not be responsible for products delivered to incorrect addresses supplied by the sender or unsuccessful deliveries arising from the recipient not being present at time of delivery stated by customer. Second attempt to deliver or re-route requested by sender, a surcharge of $15.00 Singapore dollar is applicable. That delivery will also be placed at the lowest priority. On Valentine’s Day week (7th to 15th) will do not deliver to Marina Bay Sand Hotel & shopping, Tuas, Jurong Island, Army Camps, Sentosa, Changi Cargo Complex, Alps Avenue, PSA Ports and All Universities and Polytechnics. Freeman Florist reserves the right to replace any item with another of equivalent value depending on stock availability. You have 12 hours to return or exchange an item from the date you received it. Please ensure that the item you are returning is in order of all elements. Please remember to ensure that the item you are returning is in order of all elements. Refunds will be given at the discretion of Freeman Florist. No refunds are allow after 12 hours of receiving the items purchased.